Ever wonder why Winona Ryder’s a little odd? This movie explains it! Geena Davis, Winona Ryder, Michael Keaton, Alec Baldwin – all of them together to some creepy, borderline horror comedy, in a film about a star. Betelgeuse, Betelgeuse, Betelgeuse? 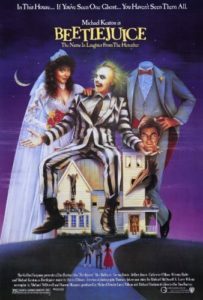 Welcome to this week’s Halloween themed episode, as Talkin’ Bout My Generation talks Beetlejuice!